Title: PANAFTOSA-OPS/OMS en el Día de "Una Salud"
Description: The events aim to give wide dissemination of the concept "One Health " to all academic and external community, since November 03th is the worldwide day to promote the "One Health" strategy . During the events will be provided information about the interdependence of the human, animal and environmental health. It will have involvement of undergraduate and graduate students, professors and professionals of different fields related to Human, Animal or Environment Health. Description: It is an academic event with invited lecturers. During the day we plan to discuss the importance of bats in the environment and their role in spreading diseases and the usage of spatial tools and environmental elements in one health research. Description: (EN) Considering the increase in cases of drug resistance and drug residues in livestock products, the round-table conference will bring the theme based on antiparasitic drugs, antibiotic, aviculture and yours interferences and interactions on human health / (PT)Considerando o aumento de casos de resistência medicamentosa e resíduos de medicamentos em produtos de origem animal, a mesa-redonda trará a temática baseada em drogas antiparasitárias, antibióticas, avicultura e a interferência na saúde humana. Description: Brazilian One Health Network promotes a discussion for better understanding of the One Health concept and challenges nationwide and intends to build networks that provide opportunities for collaboration. Rede One Health Brasil promove uma discussão para melhor compreensão do conceito One Health e desafios em todo o país, tendo ainda a intenção de construir redes que fornecem oportunidades de colaboração. Description: CPHAZ is celebrating Global One Health day by hosting an event at the Summerlee Science Complex Atrium displaying posters from clubs, students, faculty and local public health groups on the One Health related activities happening in Guelph. Stop by and check out all the great work and talk with some of the folks involved in One Health at the University of Guelph. Description: An introductory presentation incorporated into a first year class in the College of Sustainability, Dalhousie University. The talk focuses on the potential of One Health to become a transformative paradigm for re-thinking interactions and relationships between humans, other animals, and environments. Description: This interactive community seminar will: (1) introduce One Health, with a focus on zooeyia (the positive benefits from interacting with companion animals), (2) situate the promising results of research released on One Health Day specific to the health benefits of the human-animal bond with horses, and (3) discuss the above within the context of cross-reporting human and animal violence. Description: Limited to 30 people, this workshop will provide tools to integrate spatial data and molecular characterization information into a spatial context. 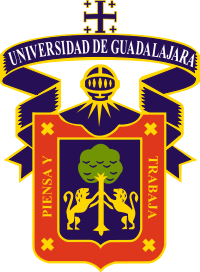 It will be trained by the Stemma Lab at the University of Minnesota and the Epilab at the Universidad Andres Bello. Description: This event will bring together national and international parties to prioritise the development of one health in our region over the next five years. These have been organised into four subjects; Climate change and effects in biodiversity, Antimicrobial resistance, Emerging diseases and One health in Chile, bringing theory into practice. Description: What is One Health? With the help of Luis Escobar from the University of Minnesota, we prepared two small lectures about the topic that were live transmitted (02-11-2016) and now are freely available for everybody in youtube (https://goo.gl/f4uOko). We chose to present the lectures in spanish to broad the audience about this important topic. Description: The goal of One Health Day is to bring attention around the world to the need for One Health interactions and for the world to ‘see them in action’. The One Health Day campaign is designed to engage as many individuals as possible from as many areas as possible in One Health education and awareness events, and to generate an inspiring array of projects worldwide. More Information: Facebook Page "Groupe Une Seule Sante Haiti"
Description: “One Health” is a global movement that involves a multi-disciplinary approach in which human, veterinary and environmental health professionals collaborate to solve complex health issues. One Health Jamaica (OHJ), is part of the EU funded, One Health One Caribbean One Love Project and is using this approach to promote water safety and security in the Maroon community of Scotts Hall in St. Mary. As such, a workshop was held on August 20, 2016 in Scotts Hall. At this workshop, residents and farmers were engaged in discussions about clean rivers and healthy farming practices, with a major focus on practical strategies for sustainable pig farming and increasing the community’s potential for ecotourism. The River Health Song Competition is another major component of the One Health Jamaica project, which is part of the EU funded One Health One Caribbean One Love Project, being implemented by University of the West Indies, St. Augustine. In order to increase participation and garner buy-in from community members, especially young people who may not have attended the One Health Jamaica workshop, a song competition will be held. The competition finals will be in Scotts Hall, St Mary and used as a means to highlight the interconnection between farming, other livelihoods and water. Bay-C, bass vocalist of the twice platinum, reggae, international group TOK is the celebrity patron for the One Health Jamaica project and he will serve as a judge on the finals on November 19. Rootz Underground lead singer, Stephen Newland, will also serve as a celebrity judge at the finals. More information on the River Health Song Competition may be found at www.facebook.com/onehealthjamaica. Description: The event "Promoting One Health: Health Week at the Faculty of Veterinary Medicine of the UANL" will be held from 24 to 29 October at the premises of the Faculty of Veterinary Medicine, where there will be conferences and stands sisters Faculties area health providing services free of charge, on 29 a "race for health" will be held and a "walk through one health" in the latter part pets with their owners, this day will be placed stands to provide services worming and free vaccination to the community as well as a focused Stand Environmental Care. On November 3, the World Day of "One Health" in the auditorium of the Faculty of Medicine of the Autonomous University of Nuevo Leon, lectures will be held in promoting the concept of One Health with speakers from the fields of medicine veterinary. Human Medicine and Environmental Care. Description: Meeting of specialists in animal, food and medical area, to discuss antimicrobial resistance. Description: Event organized by the Faculty of Public Health and Administration and the Faculty of Veterinary Medicine of the Cayetano Heredia Peruvian University, to be held as part of the celebrations of the International Day of One Health. It is the second meeting organized by our faculties, and shows the great importance of addressing global health issues in integrated and holistic way at this moment, focusing on the intersection of animal health, human health, and the environment. Description: University of the West Indies, EU funded One Health One Caribbean One Love Project is supporting the The Ministry of Agriculture, Fisheries, Physical Planning, Natural Resources & Co-operatives, & Ministry of Health & Wellness & the St. Lucia Veterinary Medical Association to commemorate "One Health Day". The Team will be hosting a series of talks at different institutions from Mon 31 Oct - Fri 4th Nov. The goal is to sensitize the public on One Health and its approach to addressing emerging and re-emerging diseases affecting humans, animals and the environment. Description: Using the One Health concept, we are raising awareness of how much we depend on our environment for food, water, shelter and our overall health; and the health of the animals we care for. From our daily lives we have an impact on the environment; however, here on campus we are producing a tremendous amount of waste particularly from single-use food containers. We can reduce the impact on our local environment by doing simple changes in our routines: for example, refuse to use single-use containers by bringing your own food containers. Throughout the month of October, we have been collecting data on people’s knowledge, attitudes and behaviors regarding the amount of waste produced and of ways people think we can do to help reduce our impact on the environment. We also have been sending environmentally friendly messages along with other interventions including a workshop for children at our local preparatory school about the importance of the One Health concept for working together for a better future. On November 3rd, we will put together all these initiatives about environmentally friendly projects and simple lifestyle choices that will help reduce our impact on our local environment. discuss the future of One Health on the island of St. Kitts as well as other ideas for us to get involved in. Description: One Health club members are coming together to watch "Contagion" and discussing afterwards the pandemonium that can arise from an outbreak. The movie helps us realize how important it is for everyone involved in medicine/science to work together to create a solution and minimize damage/harm to the public. Description: At Ross University School of Veterinary Medicine (RUSVM) we recognize that animal well-being is dependent on a clean environment and a healthy human population. As postgraduate students, we recognize the challenges of information dissemination in a small third world country. This is part of our daily reality and it inspired us to organize the 1st RUSVM One Health Day Fair which will be held on campus from 12-1pm on November 3rd. The Fair will be open to all RUSVM community members as well as other invited island organizations and businesses. All student clubs have also been encouraged to participate regardless of their focus. We are certain we can all find "One Health ways" to improve our impact on the enviroment, while we care for ourselves and our ecosystem. We have encouraged students and colleagues to think of ways that they already use the One Health concept in their daily routines, group activities or organization's mission. At the fair, we will provide a safe and friendly environment to share and experience practical examples of how our lifestyle can have a positive impact on the environment, animal and human health. After the fair, we will gather all the information obtained and shared. We will continue to have an open sharing space on our Facebook page and we will write a proposal to the University authorities presenting short, medium and long term changes in our campus that could spearhead change with a ripple effect in the wider island communities. Description: The first Global One Health Day on November 3 will be observed at Ross University with a variety of campus-wide activities focused on raising awareness about how we can all help the environment by practicing the One Health approach. Several veterinary student clubs are joining together for multiple activities aimed at reducing the amount of waste on RUSVM campus. A One Health Day Fair organized by postgraduate students will be held from 12-1 p.m. The Fair will bring together student clubs, faculty and staff and the kids from the prep school to raise awareness on how every discipline can help the environment by practicing the One Health approach. A One Health Symposium on "Antimicrobial Resistance" will be held in the evening from 6-8 p.m. involving presenters from RUSVM, other institutes and labs on St Kitts and elsewhere from the region. It will focus on antimicrobial resistance in the Caribbean, particularly in St. Kitts. Speakers will discuss current developments of antimicrobial resistance in animals and humans and where there is a need for future research and collaborations. One Health related research posters will be presented after the Symposium at a reception. Description: Wet Lab helping students with their skills in bandaging large animal limbs. This is a fantastic skill to have in certain emergencies. Description: The EU funded “One Health, One Caribbean, One Love” project, implemented by the University of the West Indies (UWI)’ and its project partners, is pleased to host a Regional One Health Strategic Planning Workshop with the intention of working together to develop a draft strategic plan for One Health in the Caribbean. One Health involves multi-sectoral collaboration on issues at the interface between human, agricultural and environmental health to develop comprehensive solutions and strategies. 60 professionals from across 10 countries from government, non-government, academic and private in the fields of health, agriculture, and the environment will be participating in this event. This draft strategic plan intends to provide a framework for implementation of the existing One Health policy that will provide a basis for engaging Leaders and practitioners at the regional and national levels to ‘mainstream’ the One Health approach. Description: Please join Zoetis and Students for One Health at Auburn in welcoming Dr. Diane Platts, DVM who will be speaking about "Vector Borne Diseases and their Global Impact on Veterinary and Human Medicine" in recognition of the inaugural International One Health Day. Description: We will be showing Spillover: Ebola, Zika, and Beyond, in one of the main lecture halls over lunch. The entire school will be invited to attend. Description: Table for agency staff, streaming CDC video, One Health: from Concept to Action, One Health Lunch and Learn, agency photo, kiosk in main lobby. Description: Protect you and the Zoo from Flu is an event with the goal of minimizing the impact of influenza for Arizona youth and their families, as well as encouraging fun, safe, and healthy interactions with animals, such as hand-washing. Our event will occur in collaboration with the Phoenix Zoo’s Farm Days. Maricopa County Immunizations Office will administer free flu vaccines for families and there will also be a One Health education table with spin-the-wheel and various interactive games. * Available by Webinar - CE/CME will be offered. Description: The theme of this year’s UC Davis One Health symposium is Collaboration in the Face of a Changing Environment. Discussion topics will range from Zika virus and the distribution of mosquitos and other vectors, to respiratory disease caused by environmental particulates, to disaster preparedness and response. The Deans of the UC Davis Schools of Nursing, Medicine, and Veterinary Medicine will give the day’s capstone address. We will follow the program with a networking reception. Description: The first global One Health Day celebration at Colorado State University will include an Open House at the new One Health Institute in Johnson Hall. Attendees may drop in any time between 9 a.m. and 7 p.m. Events throughout the day include a keynote address by President Tony Frank at 12:30 p.m. and a panel discussion from 3:30-4:30 p.m. entitled "One Health: An Inter-Sectoral Approach" featuring Danielle Buttke (NPS), Micah Hahn (CDC), and Jane Rooney (USDA). Description: With over 300 million visitors annually, over 400 park units across all 50 states, and a commitment to protect the health of natural resources and humans, national parks offer a unique opportunity to practice and promote One Health. The Safety Health and Wellness Team of the Fort Collins NPS office is hosting an employee walk in honor of One Health Day. Employees will have the opportunity to engage with colleagues and enjoy the outdoors. Fee? None. Online registration is required. Description: Spillover — Zika, Ebola & Beyond is a harrowing documentary that follows scientists into the world's hot zones in a search for answers. And it does so while providing much needed scientific context for the most recent Ebola and Zika outbreaks. The film extends to the new frontiers of disease detection, prevention, and containment, and travels the world with virus hunters who are tracking old enemies while vigilantly looking out for new foes. A discussion after the screening will focus on Zika and how scientists have tracked the disease globally and locally, how the disease affects people and what we need to know to help manage and prevent an outbreak in DC and beyond. Vanessa van der Linden, M.D., Neuropediatrician, Association for Assistance of Disabled Children, AACD, Recife, Brazil; Barão de Lucena Hospital, HBL, Recife, Brazil, the first to recognize the severity and extent of the Zika outbreak on newborn children in Brazil. Description: We are celebrating One Health Day with a series of speakers, all focused on national and global issues that utilize a One Health approach. On Monday through Wednesday (October 31st – November 2nd), we are hosting one hour-long lunchtime discussions. Each discussion will focus on the collaborative and multidisciplinary One Health approach to a particular heath problem. On Thursday (November 3rd), we are hosting a panel. In this panel, the panelists and audience members will engage each other in a discussion on the One Health approach towards parasitic diseases. Faculty and students (undergraduate, graduate, and doctorate students) are invited to all of the events. We have also invited professionals from private and public sector throughout Washington DC to each event, to network. A light lunch will be provided to guests before and after the events. If individuals are unable to make it to our event, all discussions will be live streamed on our public Facebook page GW One Heath. Description: IFIC is honored to offer a variety of resources on the Foundation's website. These resources, developed by the IFIC Foundation, that are aligned with the education and edification goals of One Health Day are free to access and can be shared easily. Our hope is that these resources will help supplement the public’s knowledge of issues related to environmental sustainability, agricultural technology to support food supplies, and farmer environmental stewardship. 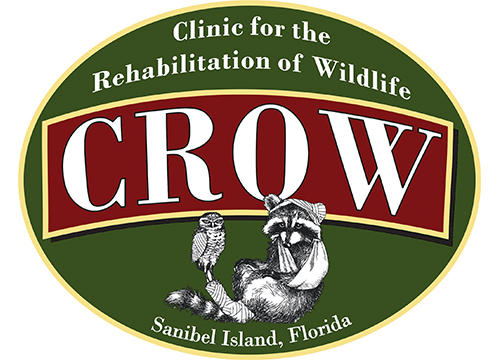 Description: The Clinic for the Rehabilitation of Wildlife (CROW) is a teaching hospital and visitor center dedicated to saving wildlife through state-of-the-art veterinary care, research, education and conservation medicine. During “One Health Awareness Week” CROW’s staff will illustrate the interconnectedness between human, animal and environmental health by discussing ongoing community partnerships and recent case studies on its social media pages. In addition to these posts, CROW’s Hospital Director will also deliver a public presentation in the visitor education center on November 3rd titled “Soaring into the Future of Conservation Medicine”. Description: One Health solutions to obesity in people and their pets. Vision: A world where regular activity, a balanced diet and healthy weight are part of every family’s life. Description: This presentation will detail a recent case of canine M.bovis infection and lead discussions related to potential transmission during veterinary procedures, necropsy, and of course potential transmission to owners in certain types of infections. Description: The Department of Biostatistics & Epidemiology (DBE) at the Medical College of Georgia, cordially invites you to attend a special event, “Lunch and Learn: In Celebration of One Health Day”, sponsored by the DBE and the Senior Vice President for Research at Augusta University. One Health is a collaborative effort across multiple disciplines working locally, nationally, and globally to attain optimal health for people, animals, and the environment. This special event will be held at the Lee Auditorium on Augusta University’s Health Sciences Campus, beginning at 12 noon, on November 3rd, 2016. The first 50 attendees will get a free lunch and we will have awesome promo items as well! Title: One Health – Embracing in silico models for therapeutic needs in humans and animals. Description: The One Health Initiative is a worldwide strategy for expanding interdisciplinary collaborations and communications in all aspects of health care for humans, animals and the environment (http://onehealthinitiative.com/). Whether dealing with the development of shared diseases among humans and animal species (physiological diseases such as those involving the cardiovascular system or cancer) or efforts to combat infections and drug resistance, tools are needed to optimize the efficiency with which we utilize existing information to support therapeutic drug development. Such tools can likewise be used to predict the potential absorption of substances resulting from their unintended environmental exposures. It is this perspective that provides the impetus for this webinar series where we explore the meaning of the One Health initiative and how we can best utilize existing information to support the development of therapeutic formulations for use in humans and veterinary species, to adjust dosages or dosage forms to meet emergency needs that may arise around the globe, or how to explore exposure risks that may occur in the presence of environmental toxins. Description: There are select One Health topics throughout the Potomac Regional Veterinary Conference. These topics include: larval toxocariasis, leptospirosis, rabies surveillance & control-A global perspective, wildlife rabies control in the US, lead in drinking water and drinking water health advisory for cyanotoxins. Description: The 2016 Iowa One Health Conference will bring together a multidisciplinary cast of students and professionals in relevant fields to learn and discuss how the concept of One Health can help drive positive change in the health of humans, animals, and the environment. Description: This conference was created by collaboration between faculty at the University of California - Davis and the University of California - Los Angeles to provide unique opportunity for clinicians and scientists to understand and discuss craniomaxillofacial disorders occurring in man and animals and the challenges that they pose on the patient and the clinician. This conference is the pinnacle of identifying translational solutions to disorders common to animals and man. Description: We plan to emphasize the importance of collaborative medicine and zoonotic disease to our clients when they come in, as well as write online blogs explaining the One Health Initiative to post to Facebook. Description: Throughout the last few decades, diseases that spill over from animals to humans have been on the rise. The public is invited to watch a documentary about the rise of spillover viruses like Zika, Ebola and Nipah, and to ask questions of local experts from Carle Foundation Hospital, the Champaign-Urbana Public Health District, and the University of Illinois College of Veterinary Medicine and School of Public Health. Description: Elanco Animal Health (a division of Eli Lilly) will host a series of broadcast lectures for Elanco and Eli Lilly global employees on the role animal protein and companionship play in supporting human health, as well as how innovation in food production can help and conserve resources for a healthy planet. The lecture series will kick off with an overview of Elanco’s One Health initiatives and an update from the One Health Summit which took place in September. The second lecture will highlight the important role pets play in supporting human health, including recent studies in this area. The third lecture, sponsored by Eli Lilly’s Global Health Programs and Strategy, will explore the critical ties between One Health and Public Health, including collaborations between Eli Lilly and Elanco. On November 3, Elanco’s global coporate headquarters will host a One Health Gallery Walk (also hosted virtually), where Elanco employees may interact with team members engaged in One Health activities, ranging from translational medicine to pet therapy. Description: We will be promoting the concept of One Health during this week, and educating our clients and community about how we address this concept on a daily basis. Working with the non-profit, SOAR, we promote One Health and the human-animal bond by doing street outreach to help the homeless of Indianapolis that have pets. We will emphasize the importance of vaccinations, especially rabies vaccinations for the pets of the homeless, as they are more so exposed to wild animals than housed pets, and we will also emphasize the importance to the pet owners of regular flea and parasite prevention on the animals to help prevent zoonotic transmission of certain parasites. In addition, we help to provide foster care for animals whose owners need to get mental health or medical treatment, as many of these pet owners refuse treatment due to their attachment to their pets and concern for them while they are gone. Description: The Purdue University One Health Club is hosting a series of One Health related events that includes lectures on topics like ecotoxicology, antimicrobial resistance, rebuilding ecosystems, and translational medicine. Laboratory and hands-on demonstrations will also be held for students in various medical fields. Outreach opportunities in the local area are also available for those interested. Description: Tulane School of Public Health and Tropical Medicine will be hosting a movie screening of the PBS film "Spillover" followed by a panel discussion of emerging infectious diseases and the OneHealth perspective. Description: The presentation will be an overview of veterinary services, and why one health is important; It will include the role of veterinary services in One Health and examples from the field of veterinary services One Health collaborations. Description: For the fourth year in a row, Tufts One Health Day will be a way for students from various health professions to gather together and learn how their respective disciplines connect to each other. The theme for this year of “Interspecies Relationships” focuses on how animals and humans benefit (or hinder) each other. Description: The Institute of International Health (IIH) at Michigan State University, College of Osteopathic Medicine, is hosting a campus and community One Health program and research networking and engagement event in recognition of ONE HEALTH / ONE WORLD DAY Thursday November 3, 2016. Location: The Kellogg Hotel & Conference Center, Corniche Room, 5:00-7:00 PM, East Lansing, MI. This is an opportunity to learn how MSU’s One Health Committee is engaging and raising awareness about One Health/World Health. Title: Peter Ostrum One Health Day Talk: "Film to Farm"
Description: Talk and reception from Dr. Peter Ostrum, who originally played Charlie in Willie Wonka and the Chocolate Factory, and chose a career in veterinary medicine instead of acting. Description: Kansas City One Health Day – On Nov. 3, individuals and groups from around the world will celebrate a collaborative approach to improving human, animal and planetary health. The Kansas City Area Life Sciences Institute, BioKansas and Kansas State University Olathe are partnering to hold activities from 4-7 p.m. at the Kauffman Foundation, including Collaborate2Cure, networking at a BioBreak and then a keynote presentation by Kansas State University's renowned Zika expert, Dr. Stephen Higgs. Description: The Saint Louis Zoo will celebrate their One Health initiatives on November 3 in The Living World building from 9:00 a.m. – 1:00 p.m. Many of the Zoo’s conservation programs exemplify One Health in action by working to ensure there are healthy people, healthy animals, and healthy ecosystems to create a healthier planet. Join us in the celebration and take part in our activities which will include: 1) poster presentations from DVM, MD, and ecology students; 2) table side talks to share some of the Zoo’s great work in One Health; and 3) a lecture. The event is to provide visitors with means for action for holistic One Health approaches to solve conservation and public health challenges of today. The event will conclude with a noon time lecture by the Zoo’s Institute for Conservation Medicine (ICM) team as they highlight the first five years of the ICM work. Description: 4:00 – 5:00 KCALSI Collaborate2Cure, 5:00 – 6:00 BioBreak featuring networking, open bar and hors d’oeuvres, 6:00 – 7:00 Keynote presentation about Zika Virus Research by Dr. Stephen Higgs, Kansas State University. Kansas City One Health Day is brought to you through a collaborative partnership of Kansas City Area Life Sciences Institute, BioKansas and K-State Olathe. Description: Washington University in St. Louis, School of Medicine, Auburn University, University of Missouri, Columbia, Consortium for One Health (WAMCOH) is the collaborative partnership of three preeminent research institutions. The center’s mission is based on the emerging concept of “One Health,” focusing on the health linkages among humans, animals, and their shared environments. The One Health initiative is based on a holistic trans-disciplinary approach in which medical, veterinary, and environmental doctors work together and with other professionals in fields as diverse as sociology to politics so we may better understand, prevent and respond to biodiversity conservation challenges and the emerging public health issues of today. We are delighted to confirmed Barbara Natterson-Horowitz, MD as our keynote speaker for our Inaugural One Health Conference at the Saint Louis Zoo. She is a cardiologist whose patients include gorillas, lions, wallabies and humans. In 2012, she co-authored the NY Times Bestseller Zoobiquity: The Astonishing Connection Between Human and Animal Health, advocating a “One Health” approach to medicine. During the course of this half-day conference, we encourage speakers and attendees alike to meet and discuss their research with scientists and community members from other disciplines in order to foster innovative research collaborations and novel research directions. Description: Play a part in the region's first One Health Conference by presenting your poster at the Inaugural One Health Conference at the Saint Louis Zoo! Enjoy two superb panels of experts discussing infectious disease & cancer translational research and the ecological context of One Health, in addition to a keynote address by Barbara Natterson-Horowitz, MD, author of the New York Times bestseller "Zoobiquity: The Astonishing Connection Between Human and Animal Health." Students working on environmental health, comparative medicine, zoonotic disease, translational medicine, natural resource management, and conservation are strongly encouraged to present a poster. Monetary prizes for top two posters! 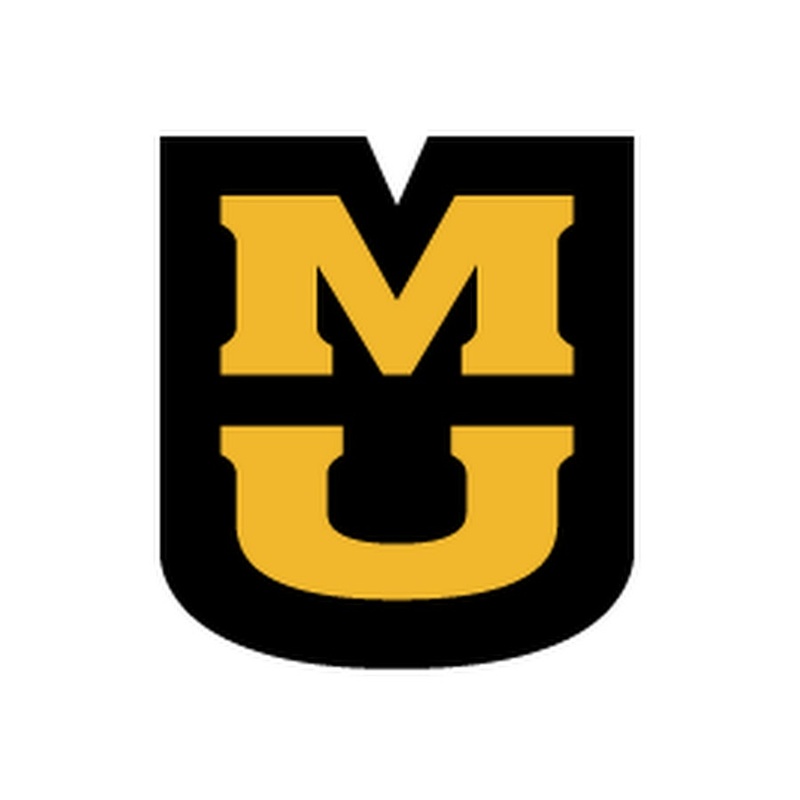 Description: In partnership with the Schools of Veterinary Medicine at University of Missouri and Kansas State University, the Kansas City Area Life Sciences Institute will present a two day symposium focused on the translational and comparative aspects of human and animal medicine. Description: The Zoobiquity Neurology & Psychiatry Conference, the first specialty-oriented conference in a national conference series, will create relationships and exchange of knowledge between human and veterinary colleagues confronted with similar clinical challenges. Comparative case studies on seizure disorders, anxiety and compulsions, cognitive decline syndromes, autism, movement disorders, pain and learning, among others, will be covered in a dynamic day of presentations and discussions with the country's leading experts in neurology, psychiatry and behavioral disorders. Keynote speakers include Dr. Jaak Panksepp, neuroscientist, a psychobiologist, the Baily Endowed Chair of Animal Well-Being Science at Washington State University and Dr. Daniel Lieberman, Professor of Human Evolutionary Biology at Harvard University. Description: AMC will open its doors to the public in recognition of One Health Day with free tours, lectures and demonstrations throughout the day. Registration open online and on site. Description: One hour Twitter Q+A with two EcoHealth scientists about One Health. 12-1pm Eastern Time. Description: AMC's second annual One Health Conference: Connecting Human and Veterinary Medicine, A Comparative Approach to Endocrine Disease. Leading experts across human and veterinary medicine will share case information and explore a collaborative approach to diseases and disorders of the endocrine system, in order to help advance treatment, prevention and patient care. RACE credits will be awarded to veterinary professionals. Description: The University of Pennsylvania School of Veterinary Medicine (PennVet) will be celebrating International One Health Day with The Johns Hopkins Bloomberg School of Public Health with two exciting events. At noon, Dr. Meghan Davis and Dr. Keeve Nachman of The Bloomberg School will discuss the Global Antimicrobial Resistance Problem and will broadcast the talk to PennVet. 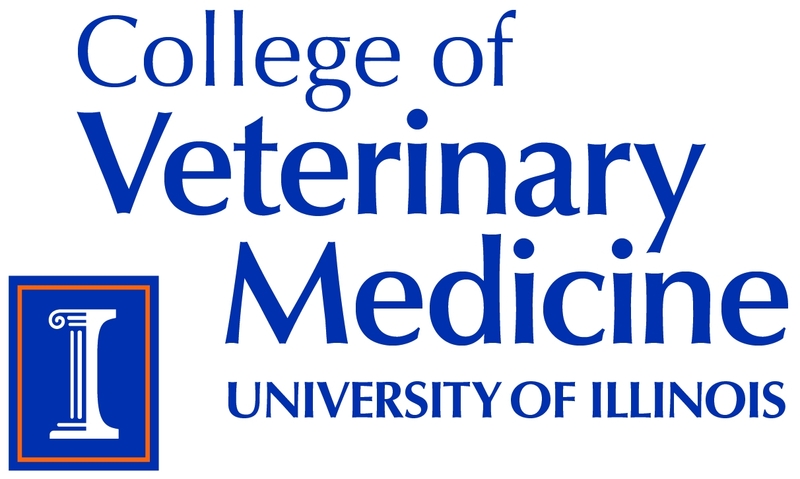 Later that night, PennVet will host a panel discussion on the new Veterinary Feed Directive that seeks to solve this problem in the United States, which will be broadcasted to The Bloomberg School. The panel will consist of experts in microbiology, public veterinary medicine, and veterinary field service. Description: LMU will gather to celebrate and brainstorm One Health events that have taken place and have the potential to make an impact in the region in the future. Description: Food drive for humans and pet foods to donate to local food bank. Many of our less advantaged residents have only a pet for company but can not afford proper nutrition for themselves or their pets. Description: Our One Health Day meeting will give Texas A&M students a taste of what traditional veterinary and medical school lectures are like, with mini anatomy and physiology lectures being given by professors from both colleges. The Texas A&M University (TAMU) Student One Health Association (SOHA) is our next generation of One Healthers. As such, they have taken the lead and organized a university-wide One Health Day event called “SOHA One Health Day Mini-Lectures.” SOHA has selected three faculty from colleges across TAMU to present mini-lectures in their areas of expertise. TAMU SOHA is open to all TAMU undergraduate, graduate, and professional students. This association seeks to provide students with experiential knowledge and understanding of One Health. TAMU SOHA is in a unique position shared by few other One Health student organizations in having access to the widest spectrum of disciplines from liberal arts to life sciences, and embracing all colleges and schools. Their officers currently represent four college/schools system wide: The Texas A&M Health Science Center College of Medicine, the Texas A&M College of Pharmacy, the Texas A&M School of Rural and Public Health, and the Texas A&M College of Veterinary Medicine & Biomedical Sciences. TAMU SOHA brightly reflects the interdisciplinary culture of the One Health approach. Description: Informative e-mail to ~700 professionals about One Health/One Health Day and personal examples of how it relates to our job at Harris County Public Health. Description: Veterinary technology students will present several One Health topics to educate attendees of the importance of One Health. They will have an interactive session on the spread of disease: one student will be contaminated with an "unknown" infectious agent and spread the agent. This session is meant to demonstrate the importance of hand washing. Attendees will also participate in the CDC interactive session of "Solve the Outbreak". Description: The Vermont Veterinary Medical Association (VVMA)’s One Health Committee’s project, One Health Comes to the Library, is designed to educate the reading public about One Health. In partnership with about 15 libraries throughout the state of Vermont, we will offer table-top displays of books on One Health-themed and One Health-related subjects old and new. Book topics will include rabies, plague, and Ebola and other spillover viruses, as well as comparative medicine, animal assisted therapy, and discussions of human activity on the environment and its consequences for mammalian life. Books will be available for loan to library patrons. Along with each book display, VVMA’s One Health Committee will provide an infographic about One Health and a list of further One Health books for interested readers to pursue. Depending on library patron interest, talks on One Health may be presented by VVMA One Health Committee members. The book displays will run for varying lengths of time at individual libraries until next year’s One Health Day. Description: The mission of CAHA is to improve animal health and public health in the Appalachian region through five initiatives. Title: Canines & Kids Cancers- Comparative Oncology May Provide the Answers! Description: Inviting One Health student/university clubs to get involved, raise awareness and funds for potentially life-saving comparative oncology projects that treat cancer in canine cancer patients , but that also help further the understanding and accelerate a cure in pediatric patients with those same cancers! Description: Carol Bogezi, PhD candidate in the Wildlife Science program in the School of Environment and Forest Sciences (SEFS) at the University of Washington and 2016 recipient of the Bullitt Foundation’s Environment Leadership Award, will present her research studying interactions between humans and carnivores in Washington State from the One Health perspective. While the presentation will occur in HSB I-132 on the university campus, the talk will be shown on our facebook page (www.facebook.com/centerforonehealthresearch) via livestream! Description: Listen to flash talks by UW Madison students, faculty, staff, and members of the community that showcase One Health activities on campus and in the world. They will demonstrate how the health of humans, animals, and eco-systems are interlinked and require multiple disciplines to ensure health for all.